For the local government area for the island, see Miyakojima, Okinawa. For the island administered by the Tokyo Metropolitan government, see Miyake-jima. For the ward of Osaka, see Miyakojima-ku, Osaka. Miyako Island (宮古島, Miyako-jima, Miyako: Myaaku (ミャーク); Okinawan: Naaku (ナーク)) is the largest and the most populous island among the Miyako Islands of Okinawa Prefecture, Japan. Miyako Island is administered as part of the City of Miyakojima, which includes not only Miyako Island, but also five other populated islands. Aerial view of Miyako Island from northwest. Miyako-jima lies approximately 300 kilometres (190 mi) southwest of Okinawa Island and 400 kilometres (250 mi) east of Taipei, Taiwan. With an area of 158.70 square kilometres (61.27 sq mi), Miyako is the fourth-largest island in Okinawa Prefecture. The island is triangular in shape and is composed of limestone. Miyako-jima is subject to drought and is frequently struck by typhoons. Miyako-jima is well known for its beauty, particularly the Eastern Cape (東平安名岬, Higashi-hennazaki), a nationally designated Place of Scenic Beauty at the southeastern most point of Miyako-jima. It is considered by many as one of the most beautiful spots in Japan. Other notable locations include Yonaha Maehama beach, Sunayama beach, Painagama Beach and the sights on Irabu-jima. 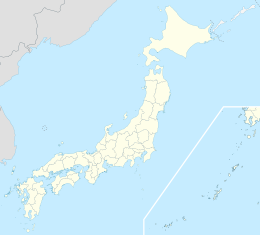 There are three islands nearby which are connected by bridges to Miyako-jima, Irabujima (as of early 2015), Ikema Island (池間島, Ikema-jima), and Kurima Island (来間島, Kurima-jima). Ikema Bridge connects Miyako Island and Ikema Island. It is 1,425-metre-long (4,675 ft) and was completed in February 1992. Yonaha Maehama beach can be viewed from the opposite side on Kurima Island. The Miyako language, one of several Ryukyuan languages spoken there to some degree. Yonaha Maehama Beach view from Kurima Island in Miyakojima, Okinawa Prefecture, Japan. Ikema bridge connects Ikema Island with Miyako Island. It's 1,425-metre-long (4,675 ft). Miyako is home to a unique festival called Paantu (パーントゥ), which occurs in the ninth month of the old (lunar) calendar. Three men dressed in grass, leaves and mud go walk around town smearing the mud on houses, cars and people. They carry sticks in one hand and an expressionless mask in the other. Legend holds that those who have been muddied by the Pantu will have a year of protection and good fortune. Owners of new homes will also invite Pantu to give a muddy 'blessing' to their homes. Miyako has its own version of soba. Otōri is a custom of drinking awamori, a distilled beverage native to Okinawa, Japan. It is performed by people sitting (usually around a table). One offers a toast, drinks from a small glass, and then offers some to each person at the table making a round, and usually going to the right. When the toaster makes his way back to his spot the person who passed the otori before pours him another glass. He then announces "tsunagimasu" and drinks his second glass. After a brief interval, it is then the turn of the next person to pass the otori, which continues until the celebration is ended. Miyako-jima is home to sugarcane cultivation, and produces brown sugar. Miyako jōfu is a locally produced hand-woven textile made from ramie fiber. It was formerly known as Satsuma jōfu. The textile traces its production to the Tensho period, 1573-92. The city has seen a tourism boom initially with locals and Taiwanese in the early 2010s, but since 2016 is struggling to cope with cruise megaships from mainland China, but the port can only handle ships as large as 50,000 tons, eventually they hope to service ships as large as 200,000 tons. However, this may change the character of the island as its population is small and rural. The Miyako Strait between the island and Okinawa mainland are problematic due to their width to allow Chinese ships to pass through, without invoking UNCLOS rights. However, such passages puts Japan on high alert due to fears of territory being cut off and generally degrades bilateral relations. In late April 2015, it was confirmed that the Japanese Ministry of Defense was in advanced planning regarding the permanent deployment of a GSDF security unit to Miyakojima, to begin sometime in fiscal year 2016. This is part of ongoing efforts to improve the defenses of the Nansei Islands. A GSDF security unit is a battalion sized force, of up to 500 personnel, whose role on Miyakojima will include providing the initial response to large-scale disasters in the area as well as acting as a rapid response force to counterattacks on remote islands within its area of responsibility. The Miyakojima security unit's exact composition is unclear as of April 2015, though given its known taskings, it's likely that the TOE will include both the Komatsu LAV and soft skinned vehicles with all terrain capability. Consideration is also currently being given to deploying GSDF units equipped with anti-aircraft and anti-ship missiles to the island. Japan Airlines maintains a ticketing office on Miyako Island. It is only for domestic flights. Miyakojima 100 km (62 mi) Ultramarathon. ^ a b c d e "Miyakojima". Encyclopedia of Japan. Tokyo: Shogakukan. 2012. OCLC 56431036. Retrieved 18 December 2012. ^ a b "宮古島" [Miyako-jima]. Dijitaru Daijisen (in Japanese). Tokyo: Shogakukan. 2012. OCLC 56431036. Retrieved 14 December 2012. ^ "Ikema Ohashi", 池間ねっと, 2018. Retrieved on 13 January 2018. ^ "宮古上布" [Miyako jōfu]. Dijitaru Daijisen (in Japanese). Tokyo: Shogakukan. 2012. OCLC 56431036. Retrieved 14 December 2012. ^ "宮古上布" [Miyako jōfu]. Nihon Daihyakka Zensho (Nipponika) (in Japanese). Tokyo: Shogakukan. 2012. OCLC 153301537. Retrieved 14 December 2012. ^ a b "GSDF unit to deploy on Miyakojima". The Yomiuri Shimbun. 27 April 2015. Retrieved 27 April 2015. ^ a b "GSDF may permanently station hundreds of troops on Okinawan island". The Asahi Shimbun. 27 April 2015. Retrieved 29 April 2015. Wikimedia Commons has media related to Miyakojima, Okinawa. Wikivoyage has a travel guide for Miyako Islands.